This book is a research study of the Jupiter Uranus conjunction of February 1997, set in its mythological and historical context. “This is a study of real-life astrology”, as Ken Gillman says in his foreword. Observation of what actually takes place on Earth when particular planetary alignments occur in the Heavens is of critical importance in determining whether astrologers’ theories about what should happen are borne out empirically. Our tradition has depended on the validation provided by actual observation of planetary effects since those Chaldean priests “…six thousand years ago, when the human mind was still half asleep…were standing on watchtowers, scanning the stars…”. This book continues that ancient tradition by presenting a comprehensive study of the conjunction of Jupiter and Uranus which took place in February 1997 at 5 degrees 55’Aquarius. Her method was straightforward. Watch world events around the time of the conjunction, and during the rest of 1997 which continued to be dominated by Jupiter-Uranus energy. Find some volunteers with the 5 degrees 55’ Aquarius Hot Spot highlighted by a planet, Angle or Moon’s Node in their natal horoscope. Collect their stories during the year of the conjunction’s operation, and see whether the same core “Jupiter-Uranus effect” could be detected in all their different lives. The first version of the results of her research was published in “Considerations” magazine (USA) during 1999-2000, and was well received by its world-wide readership. But Anne continued her work on the conjunction, setting it in its historical and mythological context for a seminar she gave at the Centre for Psychological Astrology in London in June 2000. Right through to the end of 2001, she did more research exploring the impact of Neptune’s transit of the 5 degrees 55’ Aquarius Hot Spot, again from both a collective and an individual point of view. Anne Whitaker has been an astrologer since the 1983 Jupiter-Uranus conjunction in Sagittarius. She also has a long background in adult education, social work, counselling and supervision. Anne holds a Diploma from the Centre for Psychological Astrology (1998 London, UK), an MA degree, and postgraduate diplomas in education and social work. She lives and works in Glasgow in Scotland. Thanks Carole!Pretty excited about it myself – better not tell anyone what we mean by TFB though…. Finally, finally, I’ll be able to hold it in my hands and know I’ve been a part of something special. Thanks Max! You and Dolly the Sheep were definitely the Jupiter-Uranus stars of 1997…. CONGRATULATIONS on your first of many published books celebrating the infinite unfolding of meaning and purpose of human experience. if you agree i would like to add a link to my site advertising your book. is that possible? thank you so much – and I would love you to add a link! I added a link for your book. Let me know what you think. I hope your book is doing well out in the world. 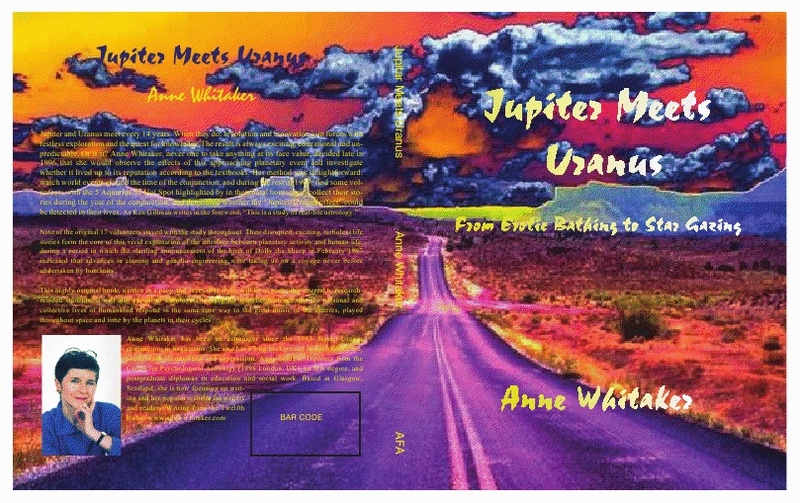 from Carole Bone by email : Very much enjoying reading “Jupiter meets Uranus” again – it really is an achievement Anne and I am not just saying that. Fanastic empirical astrology – well written and presented. I would recommend it highly to any serious astrology student. “Greetings from Wisconsin, USA !I am so impressed and thankful to have had the opportunity to read your most fascinating book. Such erudition, such scholarship and just plain …je ne sais quois…I’ve not come across in many a moon !!! Thank YOU !!!!! A truly great and enlightening read. I am also thankful to the book reviewer Chris Lorenz for reviewing it in the November 2009 Dell Horoscope Magazine, as well as for the folks you refer to and quote. Without people like they and you Astrology would continue to remain just a Sunday newspaper diversion. Pingback: YOU, me, and Jupiter/Uranus in Aries: the wild ride begins! Back to the Future series Part 3 « "Jupiter meets Uranus"
Pingback: Jupiter met Uranus, 8.6.10 : Calm down – we’re still here! 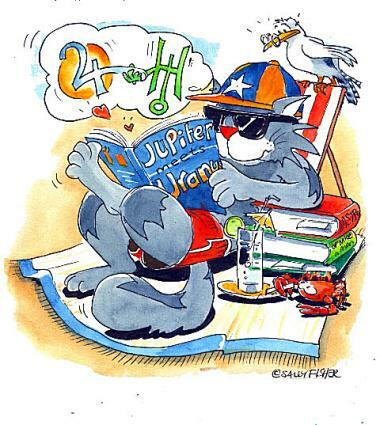 « "Jupiter meets Uranus"
Pingback: Jupiter/Uranus 2010/11: tales from the Wild Ride begin! « "Jupiter meets Uranus"
Pingback: Waiting for 19th September: Jupiter meets Uranus: “Tales from the Wild Ride” Part Six « "Jupiter meets Uranus"
Pingback: Jupiter/Uranus’ disruption continues: Part 7: more Tales from the Wild Ride « "Jupiter meets Uranus"
Pingback: Jupiter/Uranus: more mayhem!”Tales from the Wild Ride” Part 9 « "Jupiter meets Uranus"
Pingback: Jupiter/Uranus 2010: Collective ‘Tales from the Wild Ride’: Part 10 « "Jupiter meets Uranus"